The finest thing we can assist our children is by showing them an educational thing. That is what I did the minute I pushed out my son into this world. At first, I ensure he eavesdrop to nursery rhymes, then snoop to phonics and watch a few of the letters during our television time. Every day, I make sure that he can observe and listen to the DVDs I collected online, as we all know that infants are the smartest ever. They can pick up and learn things as easily as they grow older. The more you teach them and the more you showed them these educational tools, it’s easier for them to learn new stuff. A good challenge for parents and kids can be taught from their experiences. I’m appreciative of the supplementary way of teaching my son how to read is by introducing the Phonics Sounds and Sight Words as early as I can remember. Through phonics sounds and sight words, it will help him distinguish each letters sound and how to read the words they often see, which would help him to read 2-4 letters as soon as possible. Believe me, that’s what my experience with my son. By the age of 2 years old, he started to read by sounding the letters first, it’s not perfect but he gets there easily. The DvDs I received is focusing about Sight Words, it is the words we often see yet kids don’t know or have the hard time to spell nor read the word by itself. Therefore, Rock n Learn has great way to help our kids read those sight words. I was amazed on how it was so easy and encouraging the videos are, they are a great help for kids especially those newbie’s. I am blessed as the learning will never stop there, I received a nice propose from Rock n Learn website where your kids could learn music, videos and apps for fun learning. Let us introduce fun learning with our kids, the tools on how they enjoy academics. Rock n Learn has DVDs of Math, Science, Reading, Early Learning, Social Studies, Language, Language Arts, and Early Childhood correlated to common core state standards. Their learning tool comes to diverse level, such as PreK, Kindergarten, and First Grade. I opt their Sight Words DVD collections; I have a level 1, 2, and 3 to appraise. The DVD’s are quite impressive, it will occupy you kid and at the same time educate them how to read. The retail price of $51.99 you can save $7.98 off the regular combined price. The DVD has approximately 50 minutes, and widescreen. #Rock n Learn is sponsoring an awesome giveaway to one of my readers. They offer a choice of DVD or CD at Rock n Learn. The giveaways will start on February 18, 2014, 12AM EST and ends on March 18, 2014, 12AM EST. There are more collections Rock n Learn have please visit their website at http://rocknlearn.com/. They also offer a nice 25% off discount into your order, please apply JQ7711 at checkout and you are set. You may also find the FREE App for your mobile check it out, too. You may also follow them through Google+, Facebook, and Twitter to learn more updates. A disclaimer: This is NOT a sponsored post. 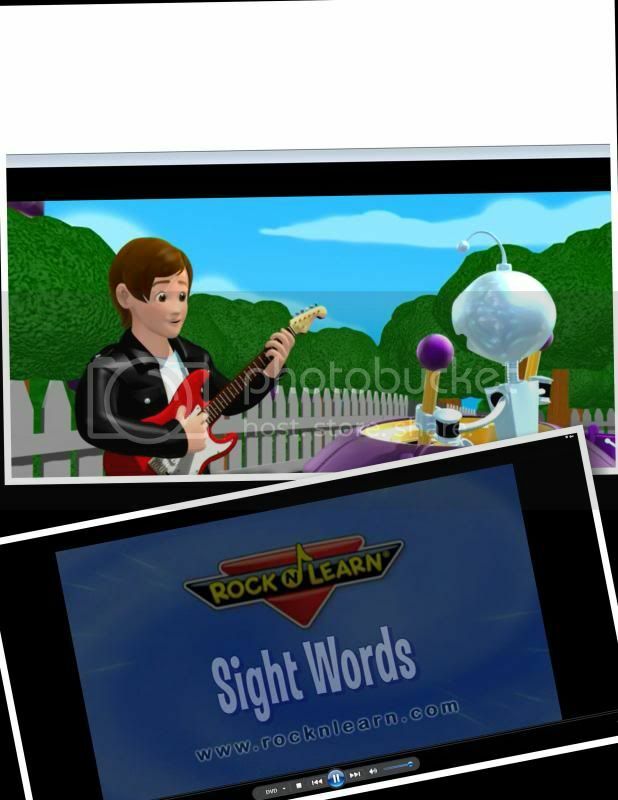 I received Sight Words DVD Collection products from Rock n Learn for free in exchange of my honesty review. The outlook I expressed is 100% exclusively mine. This educational cd looks awesome...i wanna try it and buy it for mytwo year old son...i hope this is available here at the Philippines...thanks for sharing, anyways..
You can order Rock 'N Learn products worldwide by shopping at http://www.amazon.com/International-Shipping-Direct/b?node=230659011. i use the jumpstart series during the toddler stage of my youngest son, i play it even while he is playing, he will be hooked up to watch on the part that he likes best and it is effective as it is easier to teach him letters and numbers as he is already familiar with the sounds. it's great there are a lot of educational tools and toys these days for kids. These are great to have, will surely help Chaos in developing his reading skills. Great materials for teaching toddlers at home. Your son must enjoy learning new things with you. these are good learning tools for the kids. Kids are so privilege nowadays to have these learning materials to help them learn to read and learn music. The good thing these days is that kids can get to enjoy from a lot of learning materials which is good for their holistic development. Its amazing how much eduction has turned to technology. Sounds like a nice learning tool. I want one of these for my kids. They love to listen to music too and what a great way to learn new things. Education surely has come a long way and there are so many fun ways that kids can learn these days without them even knowing they are learning. We didn't have these when I was teaching my kids in preparation for kindergarten.